The first consultation in 2015 was with our client groups, those who hired spaces in the Centre and ran groups, classes and activities for their members. The event was the official launch of the project. 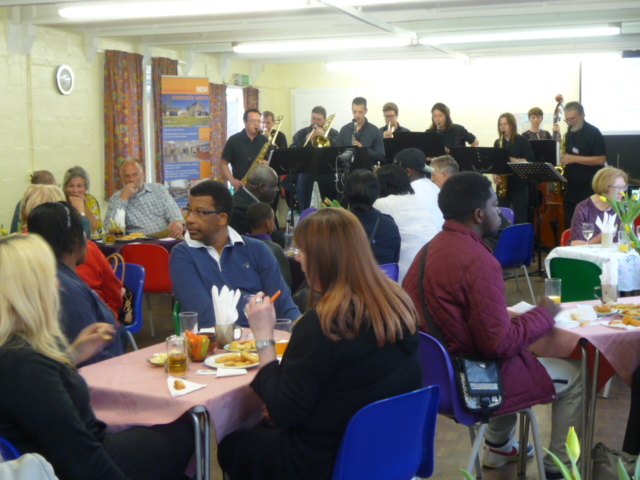 In the summer of 2016 we held three events, supported by an exhibition, leaflets and survey cards, and during which we elicited a large number of great responses from members of the Fleetville community about what they wished to be included in the new building. This was our First Stage Public Engagement. Find out more about those ideas and the subsequent report published (Our Initial Response to Public Engagement Comments). The Second Stage Public Engagement is due to take place in 2019. Meanwhile, at our stand at Larks in the Parks in July 2018, we are hosting an informal public engagement with an exhibition. Trustees will be in attendance to chat about the project with visitors.